Home » This Weeks Historical Events » Historical Events (November): Where were the Cubs? Martin Luther was born. He is known, of course, for starting the Protestant Reformation in Europe, but some Cub fans believe he also has a hand in keeping the Cubs out of the World Series. Consider this. Before Charles Weeghman built the ballpark we now know as Wrigley Field for his Federal League team (The Chicago Whales), the residents at Sheffield and Addison were holy people. 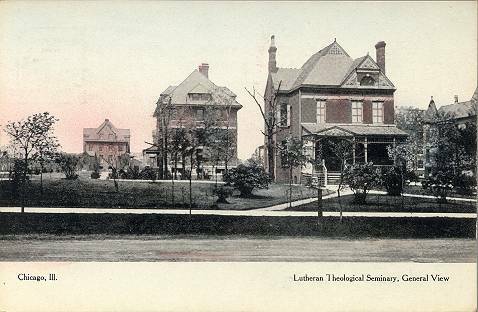 It was the home of a Lutheran Seminary, the Theological Seminary of the Evangelical Lutheran Church at Chicago. Weeghman loved the location because it was near public transportation (the El was already there, and the Milwaukee Road train stopped near there too), so he bought the land from the church. The seminary buildings were torn down in February of 1914. When he broke ground on the stadium, he turned it into a big media event—-5000 fans showed up to watch. It was built in six weeks for only $250,000, although it was only a single deck at the time, and there weren’t any outfield bleachers in left or center, and only 2000 bleacher seats in right. The stadium was designed by the architect who had designed Comiskey Park only four years earlier, Zachary Taylor Davis. Weeghman signed two famous Cubs to play on that first Whales team (Joe Tinker and “Three Finger” Brown), and almost signed Walter Johnson, but Charles Comiskey lent the owner of the Senators ten grand to keep Johnson out of Chicago. Despite the star power of a few players, the park itself was the draw, and with the Cubs suddenly not so good, and playing at the vastly inferior West Side Grounds, the Whales began to outdraw them. After the 1915 season, the Federal League folded, and Weeghman was allowed to buy the Cubs (because the rest of the NL owners wanted to get rid of former owner Charles Murphy). The first thing he did was move his new team into his new ballpark. The Chicago Cubs played their first game at what is now known as Wrigley Field on opening day 1916, and have been there ever since. While it’s true that Weeghman purchased the land fair and square and the transaction hasn’t caused controversy before or since, three Godly buildings which had served as the residence, school and library for Lutheran holy men were knocked over with a wrecking ball, and replaced by a stadium that served alcohol to unruly heathens. Is there Anyone (with a capital “A”) who might not have liked that trade? It’s possible. It’s certainly more plausible than the goat. The Chicago Tribune was the proud new owner of the Cubs (after paying $20.4 million), and the powers that be at the top of the Tribune Tower, probably had a pretty good view of the climb from Spider Dan Goodwin. He was wearing a wetsuit and using a climbing device he designed, Goodwin attempted to scale the 100 story John Hancock Center. The Chicago Fire Department was not happy. They actually tried to knock him off the building by directing a fire hose at him. When that didn’t work, they tried to dislodge his equipment with long poles. Goodwin used a rope to swing across the building to evade their capture. The Mayor of Chicago was watching this spectacle and called off the Fire Department. That allowed Spider Dan reach the top of the building. The Cubs are still waiting for their turn to reach the top. On this day in 1927, the Cubs acquired a future Hall of Famer, and it barely made the newspapers. There was another big story in the news that was captivating the city. 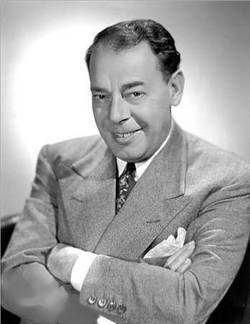 It involved one of the most notorious gangsters in Chicago (Machine Gun Jack McGurn) and one of the biggest stars of the stage, singer-comedian Joe E. Lewis (photo). McGurn was outraged that his club’s (the Green Mill) star attraction had refused to renew his contract. Lewis went to a competitor instead, playing to a full house at the New Rendezvous. On November 27, three of McGurn’s men stormed into Lewis’ hotel suite, beat him and then cut his throat from ear to ear. The comedian survived the attack, and was even able to recover his singing voice, but McGurn’s boss–Al Capone, was very unhappy with his lieutenant’s behavior. He advanced Lewis $10,000 so that the performer could get back on his feet. While newspaper headlines blared the story of the McGurn/Lewis confrontation, the Cubs quietly traded their second baseman Sparky Adams and outfielder Pete Scott for a disgruntled star outfielder on the Pittsburgh Pirates. His name was Kiki Cuyler. Cuyler went on to lead the Cubs to pennant in 1929, a near miss in 1930, and another pennant in 1932. Even though the Cubs didn’t win the World Series in either year, Cuyler wasn’t the reason. He hit .300 in the 1929 Series and led the team in RBI. In 1932, he homered in the same game that Babe Ruth supposedly called his shot. Cuyler also provided something for the Cubs that they wouldn’t have for another 45 years: speed. He led the league in stolen bases in 1929 and 1930. Between 1930 when he stole 37 bases and 1975 when Jose Cardenal stole 34, not a single Cubs player stole more than 30 bases in a season. Machine Gun Jack McGurn’s impact would be felt in an entirely different way. After allegedly being the mastermind of the St. Valentines Day massacre, McGurn was gunned down on the anniversary of that crime a few years later.